Clarence J. and Margarete (Bruster) Comstock. She was a retired seamstress and homemaker and a member of Mountain Top Church in Cisco, Texas before moving to Ballinger. Survivors are her children; Linda Bisbee, Michael Hare, Robert Comstock, Jeffrey Hare, Thomas Shelton, James Shelton, Patty Shelton, Chuck Ingram and Steven Ingram. 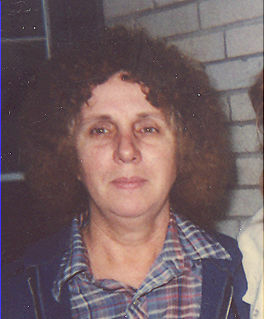 Sister; Carol Hunter of Cisco, Texas. Eighteen Grandchildren and nieces and nephews. Lillian was preceded by her parents Clarence and Margarete and a daughter Margarete Hare. Graveside Services will be11:00 A.M. Tuesday December 4, 2018 at Romney Cemetery, Hwy 183 south of Cisco. Visitation will be 5:00 p.m. to 7:00 p.m. Monday evening December 3, 2018 at Kimbrough Funeral Home.